Pasadena has always been a technology center in an “old sort of way.” Jet Propulsion Laboratory and the California Institute of Technology are two venerable brands – institutions that continue to lead space research and produce Nobel Prize winners and provide the nation’s top-ranked scientists. Pasadena is also home to the Art Center College of Design, which continues to be a world leader in graphic, industrial and automotive design, and creative arts. 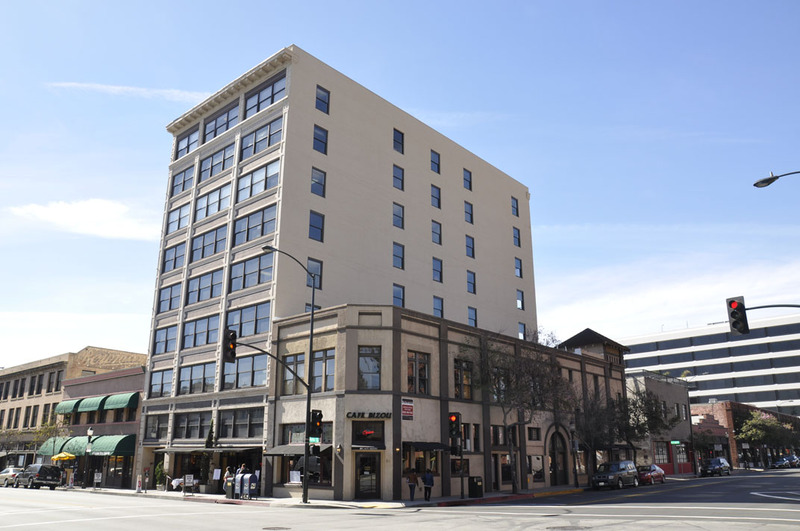 And there has been a surge in Pasadena in recent years of startup high-tech firms such as EarthLink, eHarmony, Idea Lab, and more than 300 other notable high-tech companies in the past several years. Pasadena’s ‘brand’ has always resonated well throughout the world because of its beautiful neighborhoods and civic assets, including the world-famous Rose Parade and Rose Bowl, nearby Huntington Library and the restored “Old Pasadena” – a booming retail, dining, and entertainment center now ripe for its next phase – infusion of trendy high-tech entrepreneurs who want these amenities close by. In short, Pasadena is a great place to live and work. Pasadena hasn’t always been “top of mind,” however, for high-tech startups compared to other California tech havens such as Silicon Valley and Silicon Beach, which is a relatively new concentration of high-tech firms in the coastal corridor stretching from Santa Monica through Venice to Playa Vista. Silicon Beach is a brand that has ‘stuck’, and it attracts techies who love to be near the beach, palm trees, the strand, and soak in the California sunshine. The area epitomizes the best of California for many. And with nearby Hollywood, entertainment-oriented tech firms thrive in this focused community. It would seem that Silicon Beach has a hefty advantage. But this is going to change. Enter David Sacks and Rising Realty Partners who have joined together to create an “answer” to Silicon Beach. Starting with a quiver full of technology and environmental assets, Pasadena is perfectly positioned to exploit new opportunities being created by these two visionaries. They are confident they can make an appealing case to entrepreneurs who want what Pasadena has to offer – an intellectual, high-tech, high-energy culture along with its traditional community values that attract a young, upward mobile entrepreneurial elite. David Sacks brings a pedigree high-tech startup background to this venture. Sacks was the first chief operating officer for PayPal, which was later acquired by eBay for $1.5 billion, and the founding CEO for Yammer, which was acquired by Microsoft in 2012 for $1.2 billion. He has an eye for successful startups as an early investor in Facebook, Inc., Twitter, Uber, Space Exploration Technologies, Palantir, Houzz and Airbnb. He knows how young entrepreneurs think and what they want. Los Angeles-based buildings and turning them into profitable commercial investments that feature the best high-tech amenities that are requisite to today’s technology firms. “First of all, while we’re starting off with three century-old buildings as the cornerstone of this new technology center, we’re insuring that these buildings will have the most advanced fiber network available. We’re also making Wi-Fi available to the nearby public park so that our tenants can work in a variety of nearby locales and still conduct business,” stated Chris Rising, president of Rising Realty Partners. “We know that tech companies prefer access to the highest speed Internet services, and we’re providing 10GB fiber for every office. “But we also know that young entrepreneurs are attracted to older, restored office environments that have been popular in San Francisco, Austin and Seattle. We’re preserving the original facade and brick-wall interiors,” he said. Office sizes will range from 5,000 sf to 15,000 sf. But it will be the intangibles that make this venture a success: “We’re looking to group together spirited, ambitious high-tech entrepreneurs who share the passion for a new vision in a complex that breeds successful ventures. We’re here to support their quest to achieve their startup goals. And we’re willing to provide below-market rates to these startups,” Rising said along with other superior support services. This landmark buildings – known historically as the Pasadena Plaza – were built in the late 1800s and early 1900s in the heart of Old Pasadena, which until the late 1970s, was the rundown section of the city. But like many cities across the United States, commercial and retail visionaries came into Pasadena in the early 1980s and restored many buildings – whole square-block sections – which attracted national retailers, specialty shops, fine restaurants and theaters. The area is one of the hot spots in Southern California today. So why is this an intriguing brand and technology story? The LA business elite settled here, too – such as the Chandlers, who published the Los Angeles Times, and most of LA’s prominent lawyers and bankers made their homes in the idyllic neighborhoods of Pasadena and nearby San Marino. The Wrigley’s and Gambles built their winter homes in Pasadena. And, of course, there was always the annual Rose Parade and Rose Bowl game … still iconic brands after more than 100+ years. Old Pasadena is not unlike other re-inventions going on in other American cities but the partners know that the city holds some outstanding trump cards – CalTech, JPL and Art Center, plus a growing tech sector. To Silicon Beach, Rising and Sacks are saying – Hold on! We have something to offer high-tech startups that is as good – if not better – than what you’re going to get in Silicon Beach. What Rising brings to the table is development and management expertise that is critical to building a critical mass of the ‘new’ tech that is driving the rapid expansion of startups. Sacks brings the necessary mindset of what is “new tech” and the challenges of starting a high-tech business. Together, they intend to be very competitive and give these fledgling companies the added expertise of their experience. “Our strategy is to not try and steal firms from Silicon Beach. We’re after the many young companies who are looking for help. Innovate Pasadena is one of the strongest community-centric organizations that is providing a broad range of startup services and support to these entrepreneurs. We’re an integral part of that initiative,” Rising said, who is a member of the Innovate board. Innovate conducts a broad spectrum of education and networking programs every month in Pasadena.